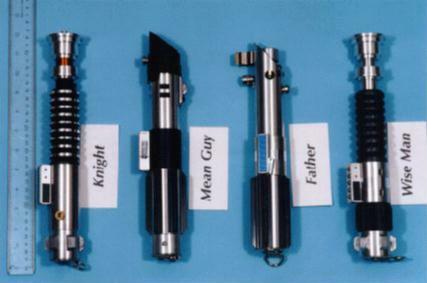 Luke, Darth, Anakin, and Ben, Lightsabers: Here's the complete set of sabers: Luke (Jedi), Darth, Anakin (Luke ANH), and Ben. All made by Jeffrey Parks. The ruler on the left is placed there for scale.